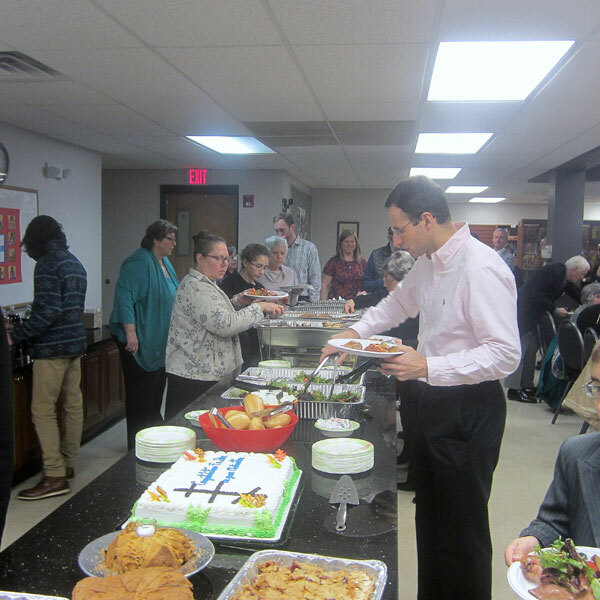 Following Liturgy St. Luke Parish held its annual meeting. Council and minisrty reports were reviewed, financial reports presented, and the budget for the upcoming year was approved. Elections for council positions are also held at this meeting. 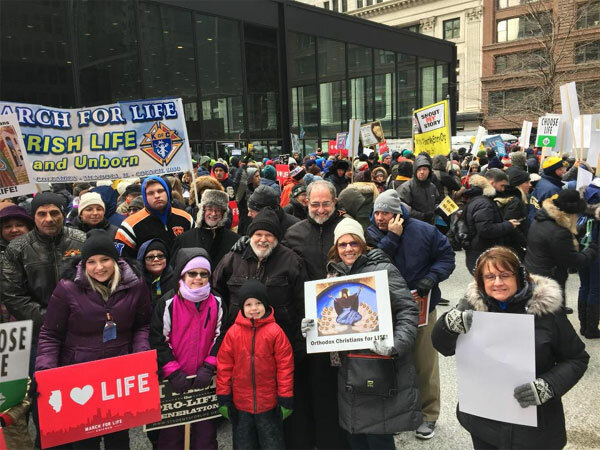 St. Luke Parish member participated in the annual March for Life. His Grace, Bishop Paul of Chicago spoke at the March and can be seen in this photo along with Fr. Paul Jannakos and Protinica Michelle. 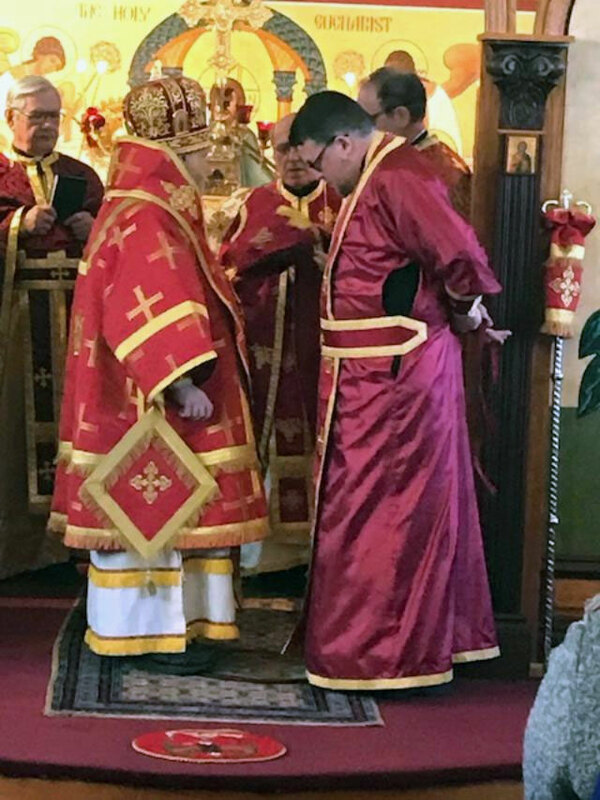 This Sunday His Grace, Bishop Paul of Chicago was present at St. Luke Parish for his annual visit and the joyful occasion of the Ordination Of Father John Segvich. 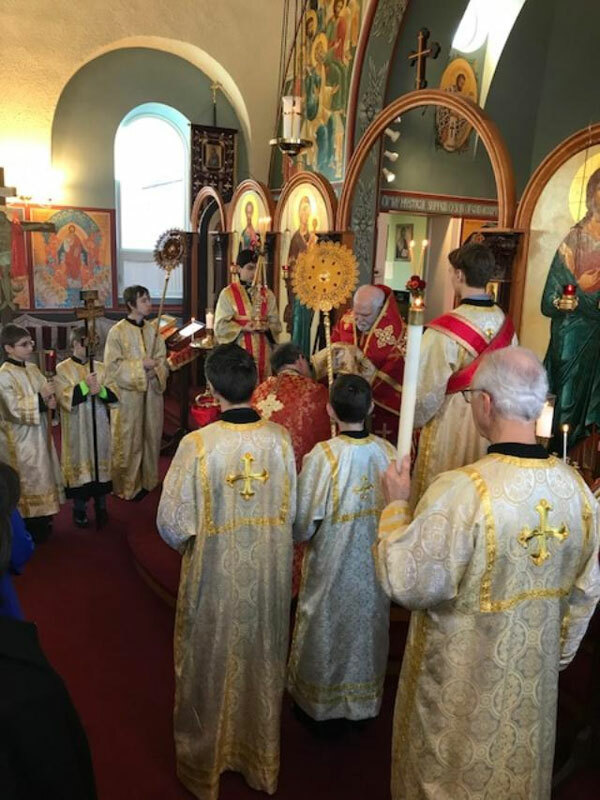 As the bishop presented Fr. 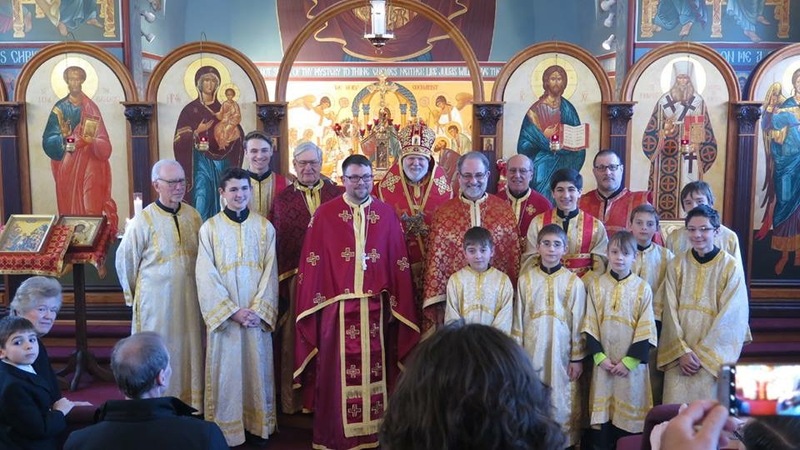 John with different parts of his vestments he cried out Axios and the congregation responded in kind. 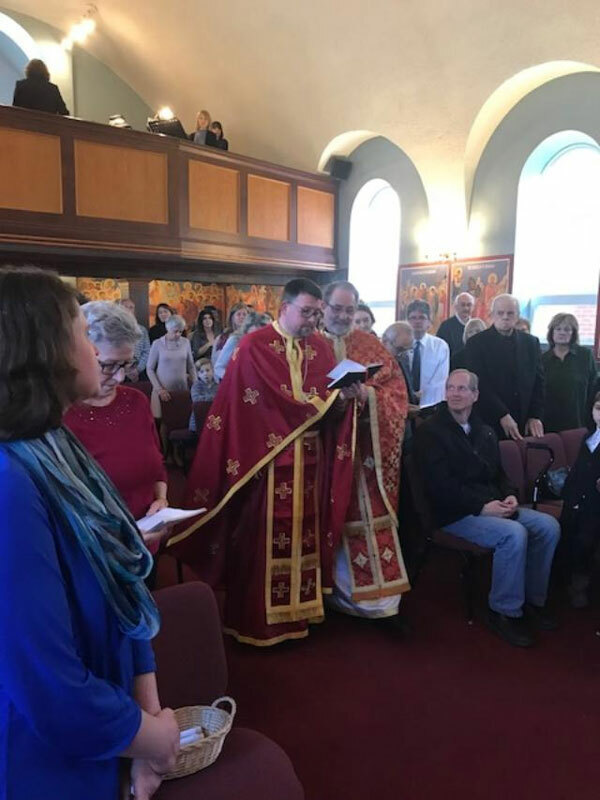 Axios!” (Greek – “worthy of”, “deserving of”, “suitable”) is an acclamation adopted by the early Eastern Orthodox church and made by the faithful at the ordination of bishops, priests and deacons. The church school children presented Fr. 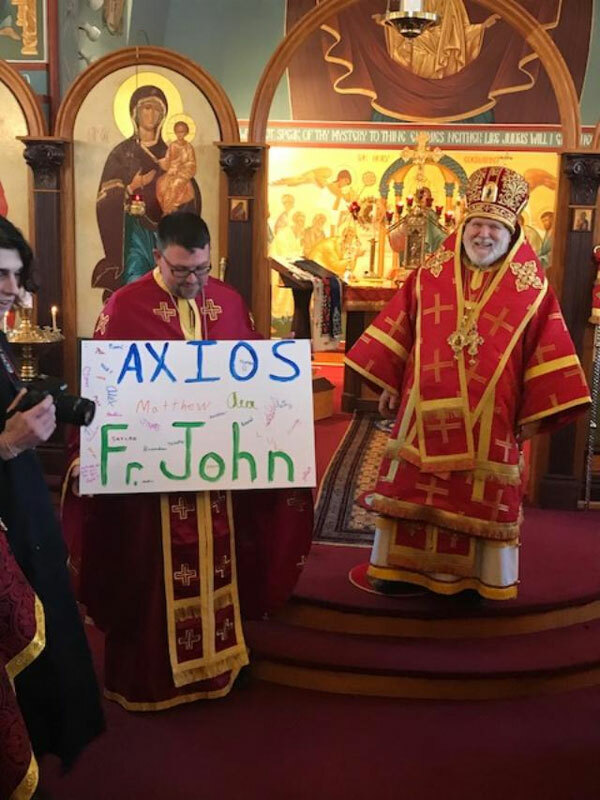 John with a poster proclaimimg Axios Fr. John. 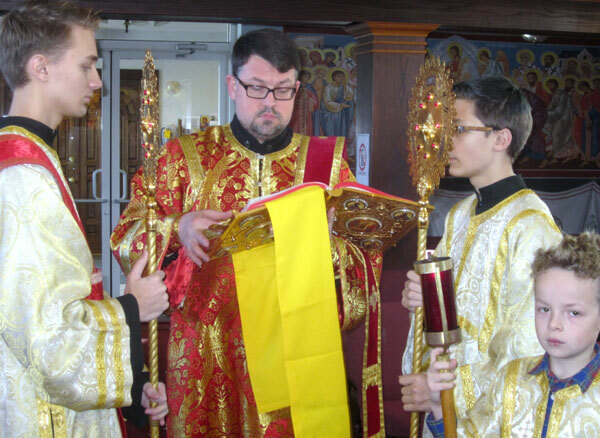 Bishop Paul gives some advice to Fr. John’s family. 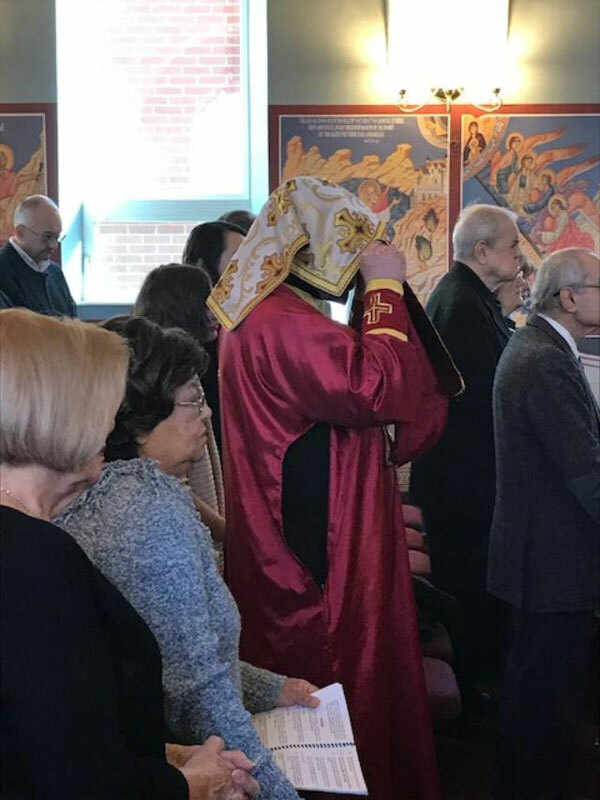 The newly ordained Fr. 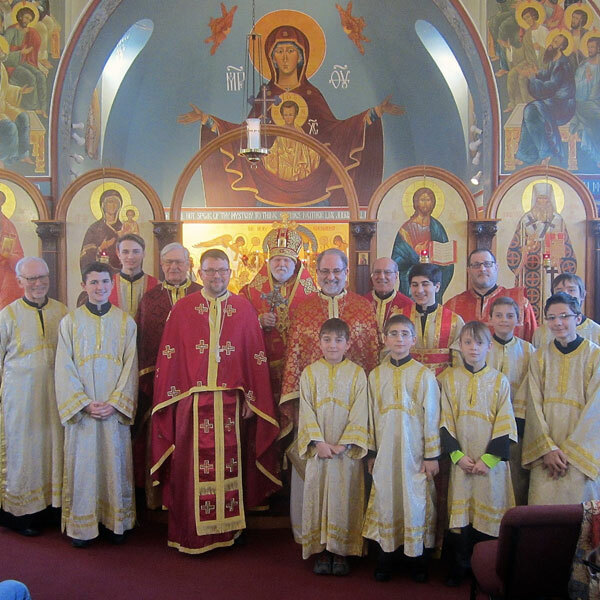 John Segvich with Bishop Paul & servers. 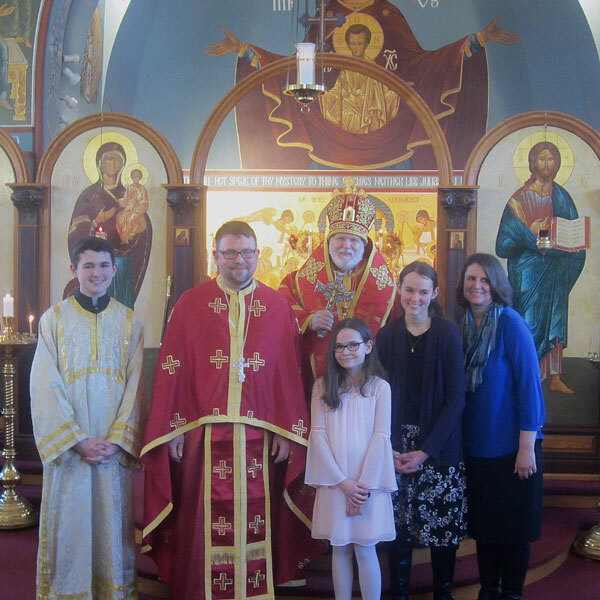 Father John and his family. 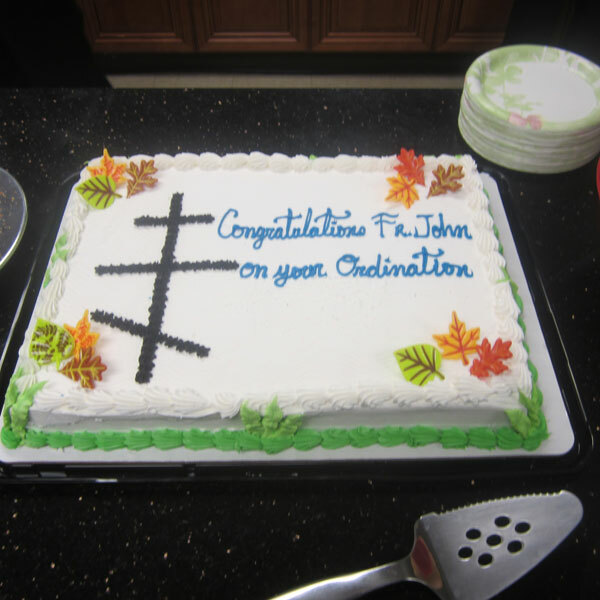 Following the Liturgy a banquet was held to celebrate Father John’s ordination. 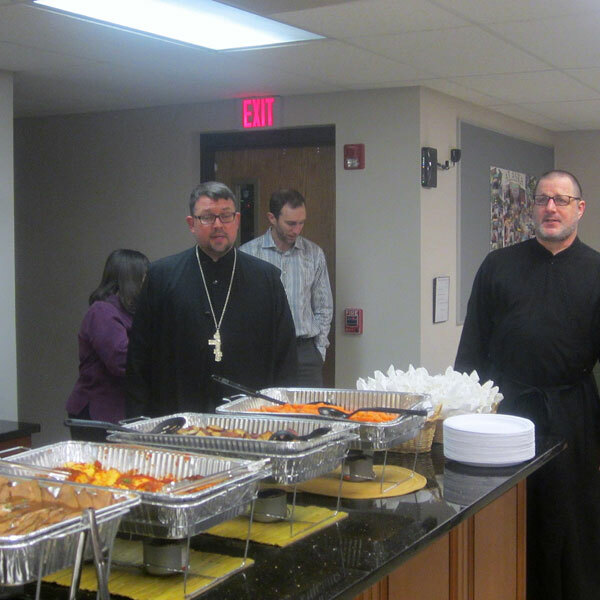 Father John blessed the meal for the first time as a priest. 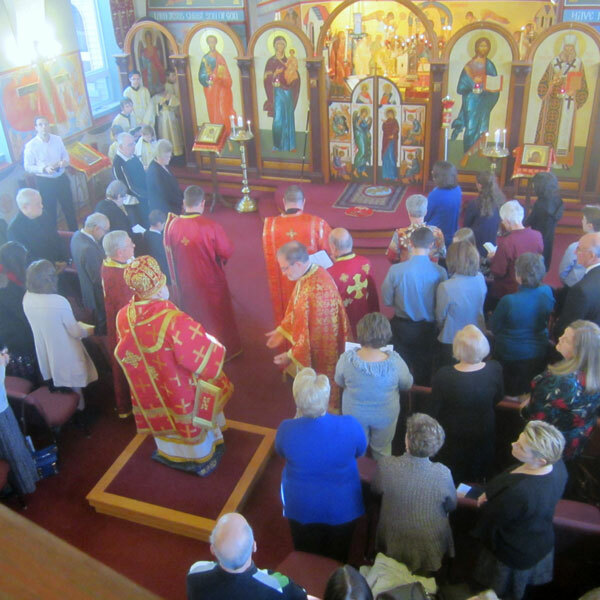 On New Year’s Day, St. Luke Parish celebrated the Liturgy Of St. 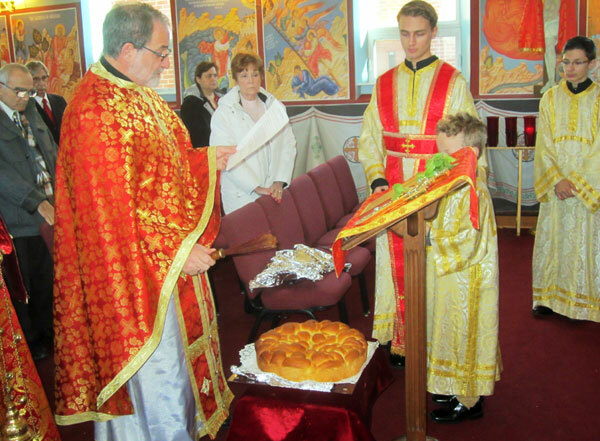 Basil and blessing of St. Basil’s Bread (Vasilopita). The Gospel Reading. 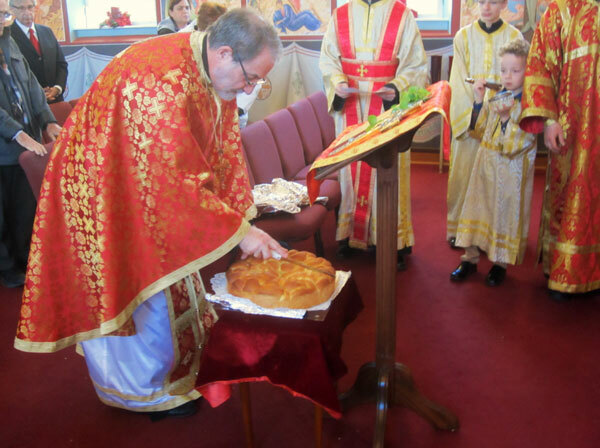 Father Paul prays over and blesses the Vasilopita. After the blessing the bread is cut. 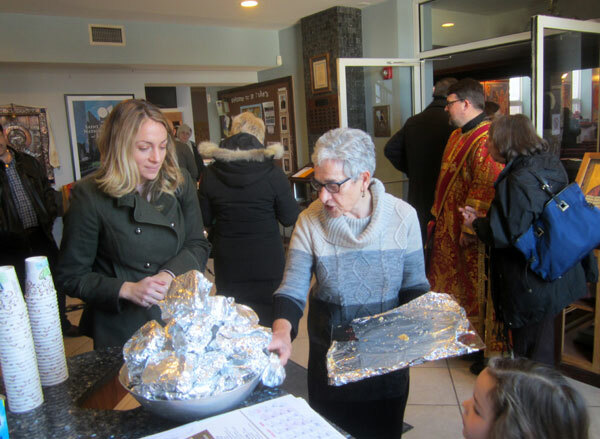 The bread is given to all those present. Hidden in the bread is a coin. 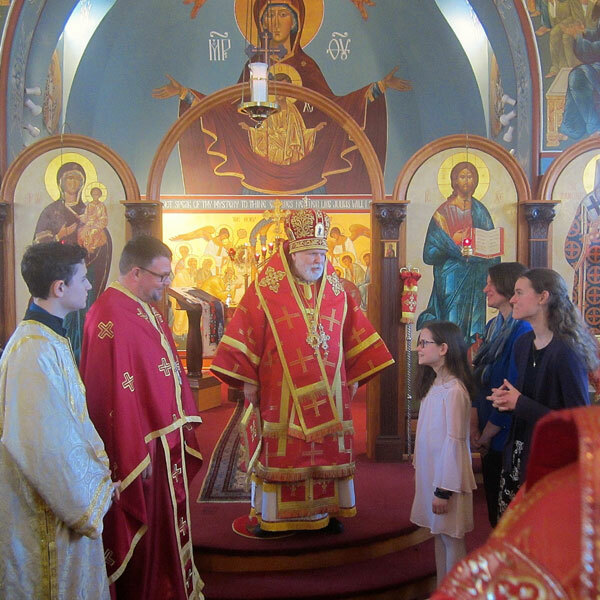 Tradition holds that whoever receives the coin receives the blessing of St. Basil for the coming year.